“This review was made possible by iConnect and Luvs. I was provided compensation to facilitate this post, but all opinions stated are 100% mine. Saving money on diapers is a good thing. I have five children so I like to think that I know a lot about babies. With each baby, I gained more experience and knowledge. I learned many new things with each baby and by the time number 5 baby came along I was very baby smart. The one thing that I became very smart in was saving money as babies can be expensive. The first baby wore brand new clothes, that always had to be clean, and those premium brand diapers as I thought they were the best. The second child came along years later and he wore used clothes and was allowed to get dirty. The second baby also wore the "smart" diapers. I was now an experienced mom and I knew that Luvs worked just as well as the premium brand diapers and provided the high-quality features for less cost. Luvs diapers are the official diapers of experienced parents. These cottony soft diapers will keep your baby leak-free and comfortable. The Luvs Ultra Leakguards with NightLock Plus™ provide the high-quality features babies and parents need for less cost than the premium brands. Moms will love the large stretch tabs for easy fastening and the contour shape will hug the baby for a great fit. Life will be easier for mom when baby stays dry and comfortable. 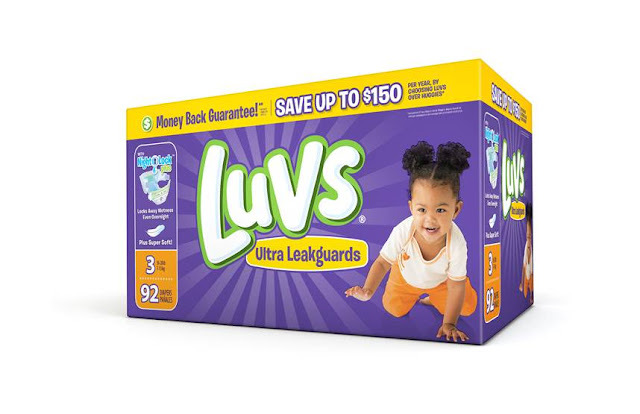 Luvs even offers a Money Back Guarantee as they strongly believe they will keep you baby leak-free. 1. 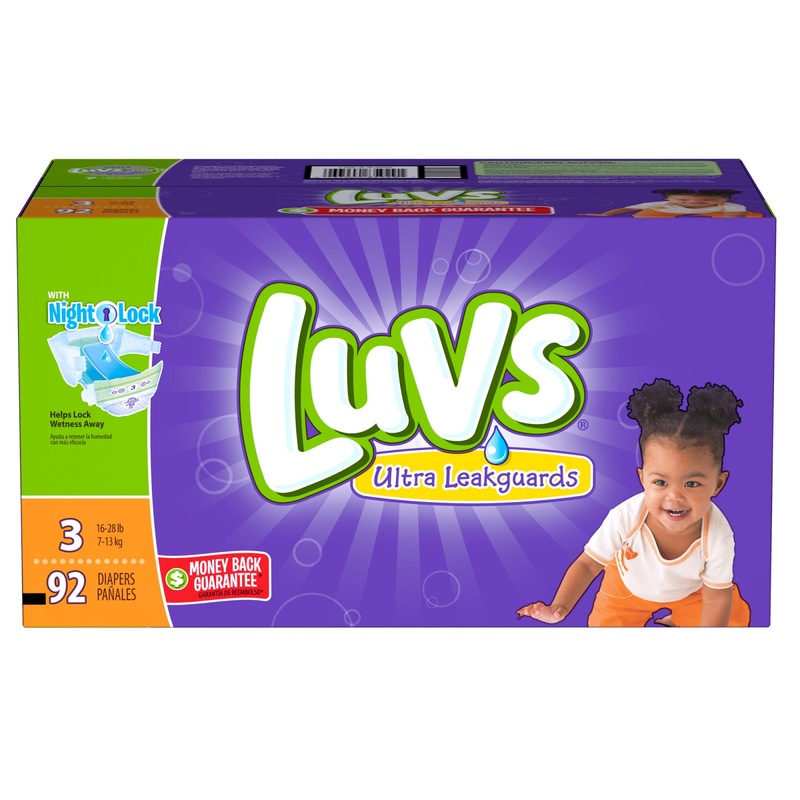 Visit HERE to access a Luvs coupon of $2.00 off any one diaper pack. Print the coupon at home and use it at any mass, discount or grocery stores where Luvs Diapers are sold. That is a pretty hefty savings on diapers. Any mom would love to get a deal like that! I don't know Ibotta, though, so worth checking into. Really god to know that. We can save some money in good products like this one. I don't have any kids, so I can't relate, but I am fairly sure these are good prices! I glad Ibotta has deals like this for diapers, it's not cheap and a lot of families need them. I'm sure a lot of parents will be happy with this discount! We cloth diaper but sounds like a great deal! Saving money on diapers can be so rewarding! I feel like wasting money when it comes to diapers.. which is a necessity when you have a baby at home. I shall share this with my sister! Thanks so much for sharing - I will pass the info along...and how awesome that it can be combined with the ibotta deal, too! Great deal on diapers! Love rebates! This is such a score on savings! Thanks for the tips on how to maximize the deal. Luvs were my favorite diaper to use when my boys were little. Thanks for sharing this savings! 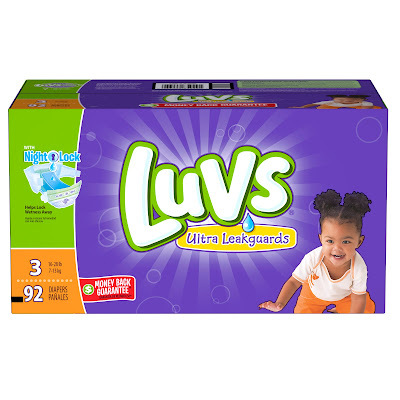 We loved using Luvs when our kids were little! I love Luvs diapers! They were my go to with my daughter for sure! Great diapers at a great price! Thanks for sharing such a great rebate and offer! Coupons saved us when our kids were younger! I don't have kids, but I know they are expensive. Saving money is always a good thing. Luvs is dependable. I always knew I could count on that brand. Saving money on diapers is so important. I love Ibotta for all of their great savings! The app sounds like a brilliant way of being able to save money on nappies which is handy for any parent! This sounds amazing!! I loved using Luvs with both of my daughters. They hold up very well. I remember those days!! Being able to save money on diapers is so important! My sister keeps telling me about ibotta. I need to get on it! Saving money is always a good things. Kids can really be expensive. It is great when saving money on diapers. I will definitely go and check this out. Thanks for sharing!